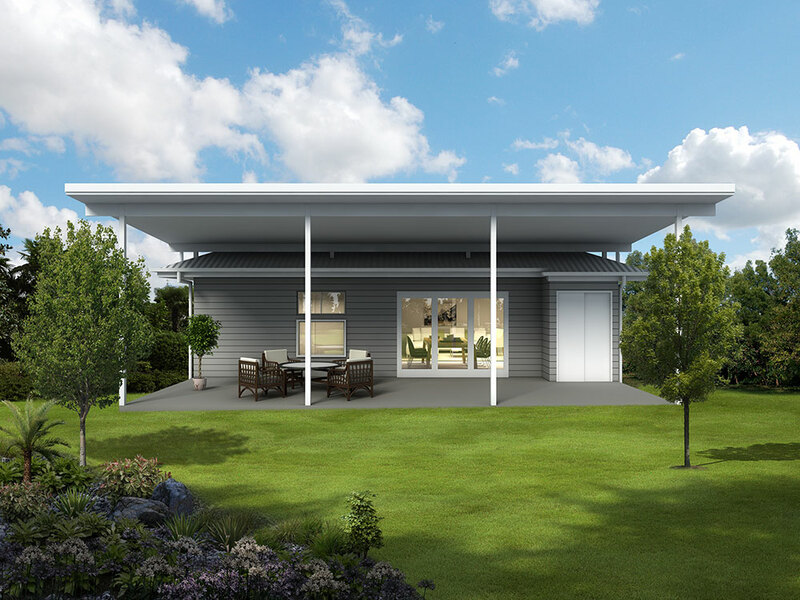 This is a modern and spacious two bedroom granny flat design. 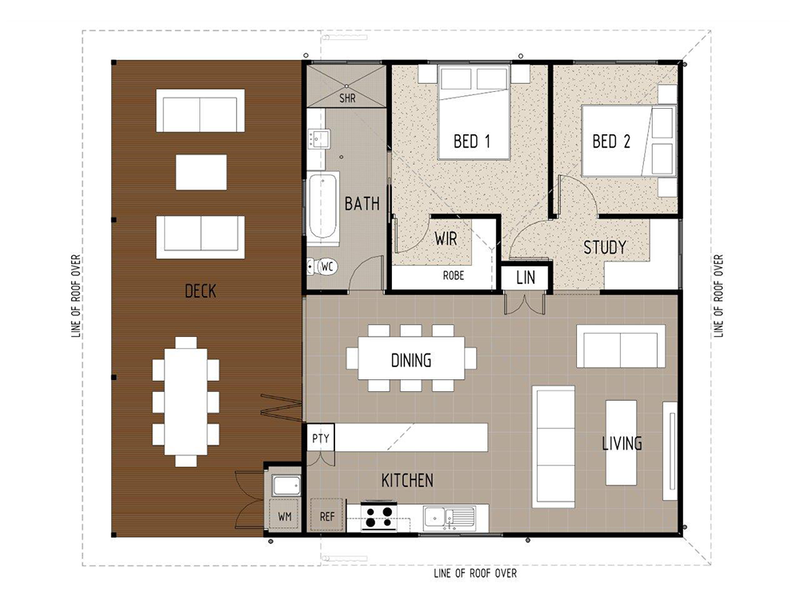 The floor plan features a good sized open plan kitchen, dining and living area. The kitchen has extra bench space included, with plenty of room for a breakfast bar. The main bedroom features a walk in wardrobe. The granny flat has a single full size bathroom which has the added luxury of a bath. This design also includes a private study nook, perfect for a small office space as well as a small European laundry. From the dining room, wall to wall stacker doors flow out to a large outdoor deck which has plenty of room for entertaining.